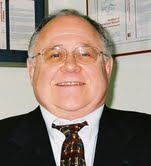 Dr Emil W Ciurczak holds advanced degrees in Chemistry from Rutgers and Seton Hall Universities and has worked in the Pharma industry since 1970. In 1983, he introduced NIRS for pharmaceutical applications (first qualitative application) at Sandoz. 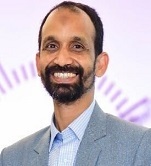 He currently consults for numerous instrument and manufacturing companies and he has published over seven dozen articles, over 400 magazine columns, has 14 patents, and presented over 300 technical papers. He is a Contributing Editor for Pharmaceutical Manufacturing and Contract Pharma magazines, has written and edited numerous texts (“Molecular Spectroscopy Workbench”, “Handbook of NIR Analysis”, 4th Ed in process, “NIR in Pharmaceutical and Pharmaceutical and Medical Applications”, 2 nd Ed.) and numerous other technical chapters , has been teaching college and professional courses in Chemistry, Physics, and Process Analysis (in the US, South America, Europe, and Asia) since 1979, was a member of the PAT sub-committee (Validation) for the US-FDA (2002) and a member of the PAT Expert Committee (Spectroscopy) for the USP; (he was also co-author of the USP chapter on NIRS – 1119). The development of new spectrometers the modernization of the pharmaceutical R&D and manufacturing processes are symbiotic. As products became more complex, newer, better, faster, and less expensive monitors have been produced. In this talk, we will examine the roll of technologies such as Near-Infrared, Light-Induced Fluorescence, and Raman in enabling PAT. QbD, and, now, Continuous Manufacturing to become commonplace approaches in Pharma. The talk will cover the latest technologies and updates of existing spectroscopies. Also, as newer instruments are developed, better and faster computers allow us to apply more complex math solutions to analyses. Numerous (easily used) commercial Statistics and Chemometric programs are available, as are companies capable of implementing them at any facility. The talk will also cover actual examples of how all the various technologies are used, alone and in combination, to control production quality. A postgraduate of pharmaceutical sciences who received extensive knowledge through advanced academic and professional courses beside a series of training of regulators from US-FDA, Health Canada etc. He has more than 22 years of rich professional hands-on experience. He worked on different regulatory agency desks as functional head including pre and post registration of drugs, compliance and enforcement of manufacturing facility, governing policy, designing initiatives, developing strategies and conducting training within the regulatory agency. He is well known and being respected due to his professional competence, tremendous contribution in sharing of knowledge and high moral value exhibited during the tenure of his civil services. Global leading regulatory authorities, corporate giants and top research institutes unluckily failed to catch genotoxic impurities; Nitroso Dimethyl Amine (NDMA) and Nitroso Diethyl Amine (NDEA) in a large number of products and the same is subject to patient exposure for years. It is a serious question indicating a big hole in the net of regulatory process, demonstrating quality within manufacturing industry and developing projects of research institutes. It is also a whistle blow to see and address the inherent underline weaknesses. Relation between the tetrazole group and the solvent N, N-Dimethylformamide is suspected to be a cause of surfaced impurities. This suspicion called to revisit all other molecules where tetraozle group exist, such as omeprazole, cefoperazone, parnlukast and all other sartans. It has emerged as a great challenge and a front burner priority to gather enough knowledge. Close engagement in development of materials, their commercial manufacturing, changes and supply process is inevitable to make controls in place and efficient. A fresh scanning and its extension to other molecules may not be avoided. 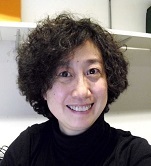 Dr Furong Tiareceived a Bachelor’s degree in Medicine, a master in Biochemistry, and Ph.D. degrees in Chemistry from Stuttgart University and Max-Planck Institute for Metal Research in 2006. I got a diploma of teaching and learning on the third level education in LTTC in DIT in 2015. She was a visiting Research Scientist in the Radiation department, in Kyoto University and National Institute for materials Science in Japan. She was a posdoc researcher in the Institute of Inhalation Biology, Helmholtz Zentrum München, supported by a Helmholtz-DAAD scholarship and ANTICARBON Seventh Framework Programme. In 2009, She received a 3-years funding within the European network programme ERANET Nanoscience with an amount of over 250K,-€ through the ERA-NET Plus scheme of Seventh Framework Programme. From 2013 to 2015, She worked at Nano lab in FOCAS with Marie curie fellowship. Currently, She is actively teaching undergraduate and postgraduate students in Chemistry, Biology, Pharmacology and nanomedicine at Dublin institute Technology. Aim: To investigate the influence of starvation on the biochemical response of Aspergillus Niger. Materials and Methods: The biochemical impact of starvation was determined by morphological observation, immunofluorescent analysis, HPLC and Western blot over 8 days. Results showed that starvation can inhibit fungi survival rate in a time-dependent manner. Aspergillus Niger exhibited active responses to starvation such as secretion of some 40 kDa proteins to manage changes in water balance, condiophores disintegrated from lack of nutrient. The immunofluorescent analysis demonstrated elevated ROS accumulation in starved cells (P<0.001). The fluorescent microscopy of the TUNEL (terminal deoxynucleotidyl transferase dUTP nick end labelling) staining, stain showed the positive staining in the starved fungi. The mitochondrial stains revealed the fluorescence emitted by the normal fungi higher than the starving ones. Western blot analysis showed that starvation can induce up-regulation expression of cell cycle-associated proteins such as PKA, Caspase 1 and HSP 40. These results suggest that upregulation of apoptosis-associated protein may contribute to fungi apoptosis. In conclusion, starvation can inhibit Aspergillus Niger growth by inducing cell apoptosis.